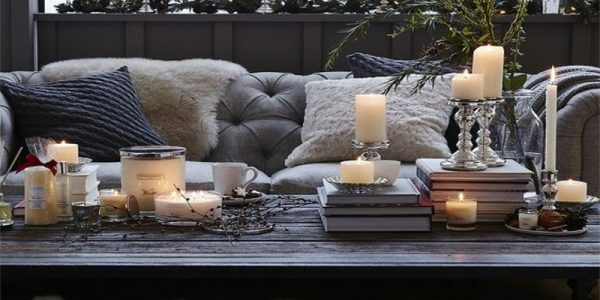 As we prepare for the holiday season, we look for inspiration on how to decorate our homes, feed our guests and wrap our presents. Over the next couple of weeks, I will provide you with some fresh ideas and tips on how to make the most of this holiday season. 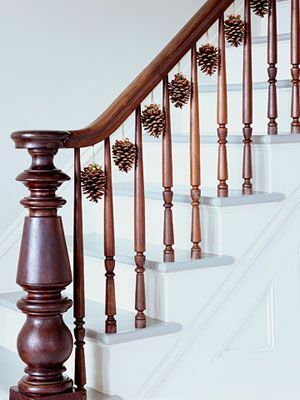 Let us start with some decorating ideas for your staircase. 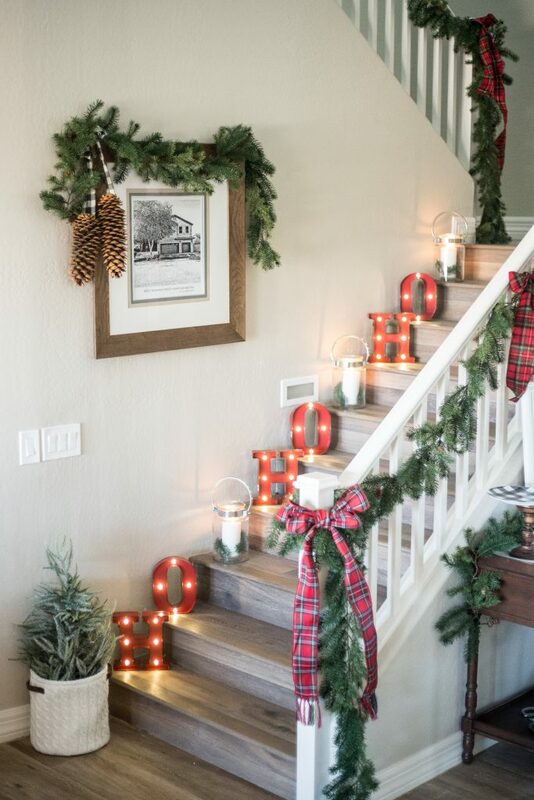 Place red lanterns on your stair treads and holiday themed cushions on the bench in your entrance way. 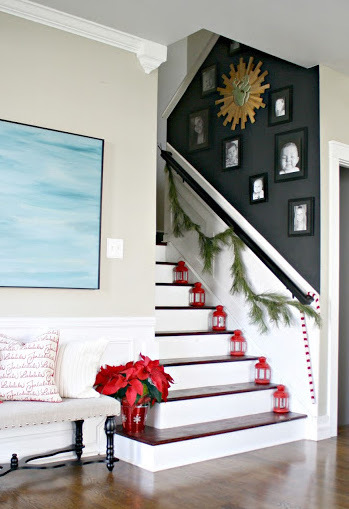 Add a candy cane, a poinsettia and a small garland for additional holiday cheer. Who doesn’t look forward to Santa’s visit? Create excitement with some HO, HO, HO. 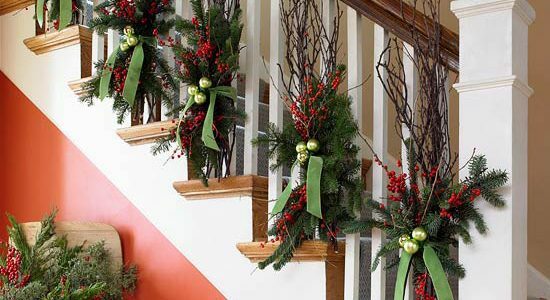 You would like to decorate your staircase, but feel that a garland is too much? 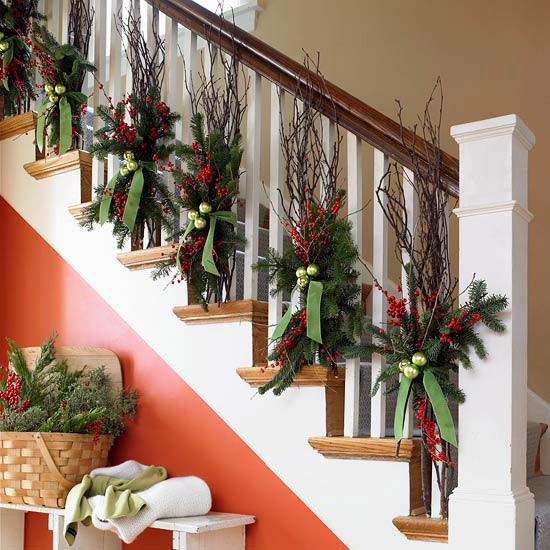 Here is the solution: Tie a few simple arrangements to your banister. 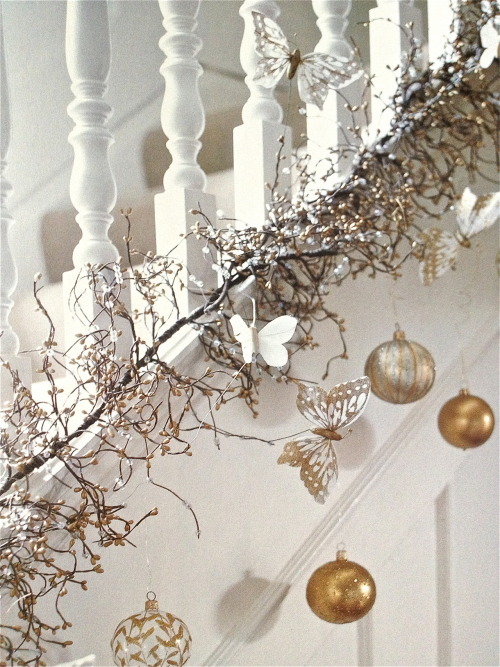 Then you might enjoy decorating your staircase with twigs, small ornaments and butterflies. 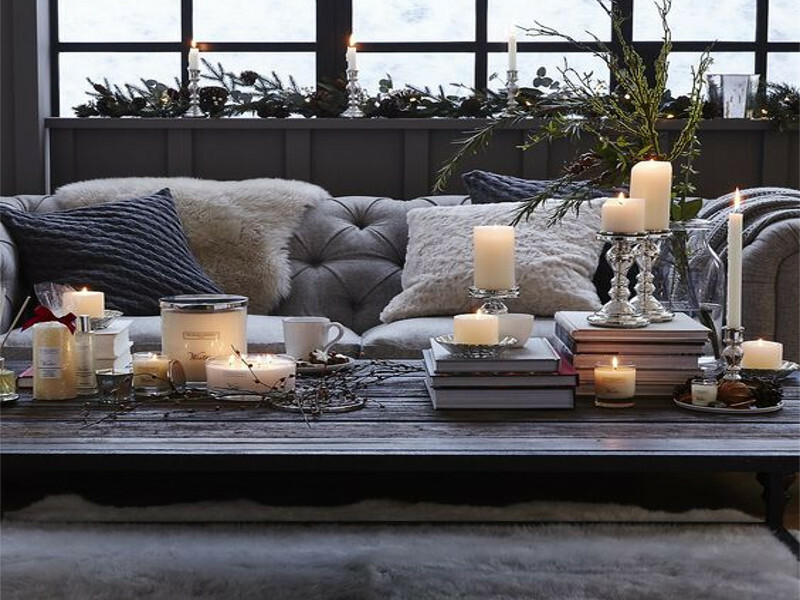 Snowflakes are a timeless and non-denominational décor item. 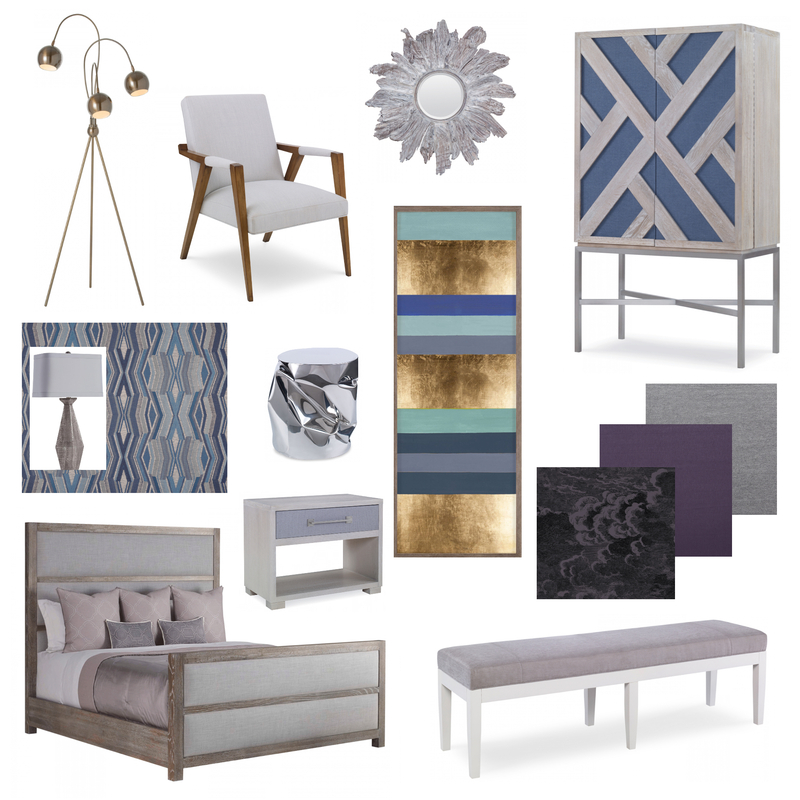 They will add cheer to any room – even the hallway. And here is an idea for the minimalist. Ornaments might be a bit much for you – so here are some pine cones instead.